My school district is struggling with the question of "how do we afford to replace our teacher laptops"? Every organization struggles with this eventually. Best practice suggests replacement every 3-4 years. That, as you can imagine can get to be very expensive. One option we are considering is the variety of Chrome laptops. 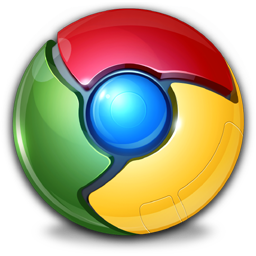 As a linux-based operating system which utilizes web applications Chrome products are often relatively inexpensive ($200 to $500), fast, and capable. The primary concern that I have, is making certain that my staff are able to take advantage of the various special software that we've grown accustomed to using, including read aloud, word prediction, and symbol software. More and more companies are addressing this issue, increasing the functionality of Chrome laptops. Such products do exist, such as word prediction by Appwriter, and Google's Screen Reader, but these are stand alone extensions. TextHelp, veteran software designers for our EC students have developed a terrific app or "extension" for Google Chrome called Read&Write for Google (RWG). RWG works on PCs, Macs, and Chrome-books. RWG is incredibly robust, rolling together word prediction, read aloud, highlighters, vocabulary list building, dictionary (with picture symbols), annotation tools, translation, and navigational tools into one product. The RWG tab is built right into your Chrome browser, and you can open or close the app with a click. The word prediction is powerful, with good phonetic spelling. In addition, the user can determine how many word choices are offered. 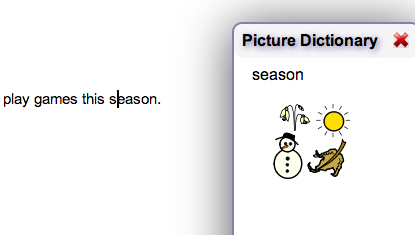 The dictionary is excellent with the ability to provide symbol based definitions, or make a direct Google search. There are 4 different highlighters, and the ability to "collect" highlighted colors in groups. From those collected words, the user can build a vocabulary list with definitions provided. The read aloud voice is of good quality, not too robotic sounding, and the pace of reading can be customized. Premium subscriptions are available for single users, groups of users, or domains. Not sure? Well, the good folks at Text help offer a 30 day fully functional trial to see if the product is for you. I would like to see a tailorable dictionary for the word prediction such as beginner vocab, medium vocab, and advance vocab. Also, a small nitpick detail, is that when I see the numbers next to the word on the word prediction choices, my inclination is to pick the number off the keypad to make my choice. This only types the number. So, I'd like the software writers to either remove the number, or give me the ability to "turn it off". Those are my only two criticisms of RWG. Read&Write for Google is a very powerful addition to the Chrome experience. It is one of the apps that makes the Chrome-book a viable option for the special educator. Speaking with a representative of the company, they are already anticipating specific improvements to come to this first iteration. If that is the case, this very capable add-on will be a "must have" for your Chrome browser or Chrome computer. Would you want to hear Christmas Carols?